Our everyday behavior helps reducing weight: What’s the fact? Everyday behavior helps reducing weight: How? 1. The diet should be varied, don’t forget any group of foods in balance quantity to include in your diet. The golden rule is not to neglect the amount of foods high calorie and fatty. 2. The plan should be smooth. Fast diets that promise losing many kilos a week, at the end produce health troubles as well as recover lost kilos. The healthiest thing is to lose about a kilo weekly. 3. Divide meals into five daily doses. Don’t skip an important meal. Two should be consistent and the other three meals lighter. 4. Breakfast is a hearty meal. Its intake contributes between 20 and 25% of daily energy. 5. You should have dinner at least two hours before bedtime. At night, the metabolism slows down and food is more easily accumulated as fat. 6. Water is essential. You have to drink a lot, about three liters a day as it improves elimination of toxins, hydrates tissues and removes hunger. 7. Fair portions to consume at the time of cooking is a way to avoid overeating. If you want to save time in the kitchen is best to cook, separate into portions and store in the freezer right away so you cannot eat. 8. Salt should be moved out from the table. Eating the same foods without salt helps weight loses and gained in health, because salt causes water retention and promotes edema in legs, abdomen and feet. 9. Use olive oil in meals. A tablespoonful provides no calories and helps you stay healthy due to monounsaturated fatty acids. 10. The amounts of ingested food have to be less. To lose weight you must reduce the number of daily calories. Use small plates and serve at once. 11. Fats are rivals of the diet. They endow with too many calories. It is for that reason suggested to eat steamed, grilled foods. The natural food is also healthier and better maintains the vitamins and minerals from food. 12. A diet that causes suffering is not a good diet. You must not forget that food is a pleasure. Thus do positive change and eat more balanced nutrition. 13. Losing weight is a progressive achievement. You have to weigh yourself once weekly, naked and with fasting. Obsessions by balance are useless. 14. Snacks as meals is all about storing fat and pulls all the efforts to meet unhealthy diet. If unavoidable, it is best to eat pieces of fruit, nonfat yogurt, calming hunger without consuming calories. 15. Avoid drinking alcohol. Only brings many calories (no nutritional value). 16. The sensations must be analyzed. Food often becomes a substitute and emotional distress or depression by eating. 17. 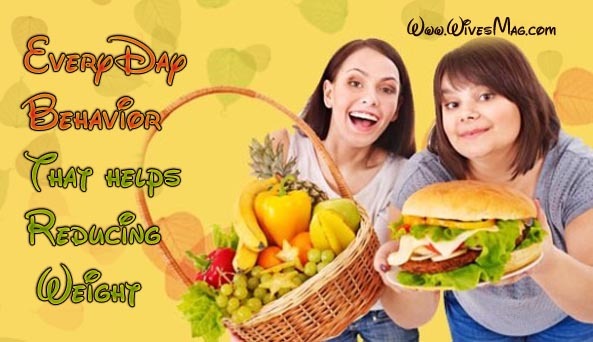 Whenever possible, go shopping for food after eating; thus have less temptation to buy things that are fattening. Before buying food make a list of detailed things you need and stick to it. 18. While eating, you should not perform another activity such as watching television or reading; this way you can concentrate on the flavors as well as get pleasure from every bite. You be inclined to eat more when done mechanically. How to burn 500 calories a day without efforts? Effective way to weight loss with lentil soup: Is it true? How to drink more water to keep yourself hydrated?